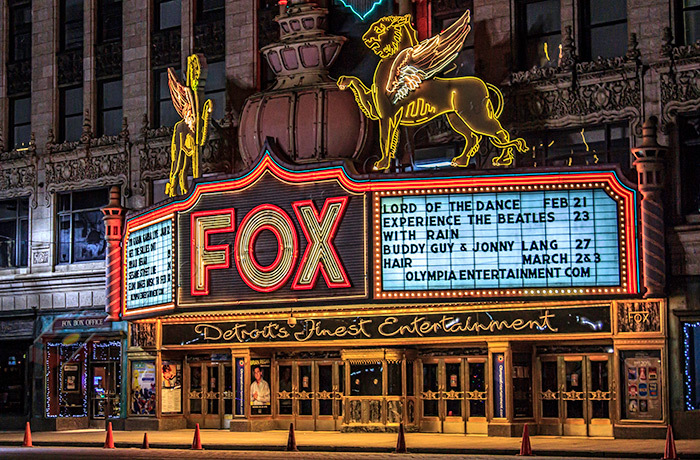 As the second largest theatre in existence today, Detroit’s Fox Theatre has reigned as the city’s crown jewel among its theatre district for more than 85 years. 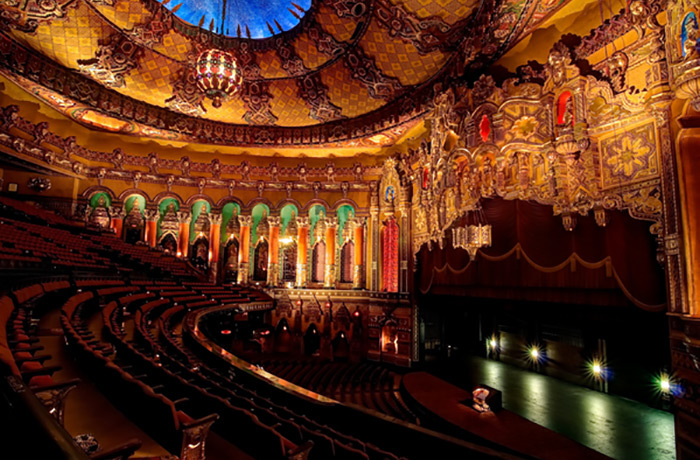 The Fox Theatre opened on September 21, 1928 as the second of five movie palaces built throughout the United States. 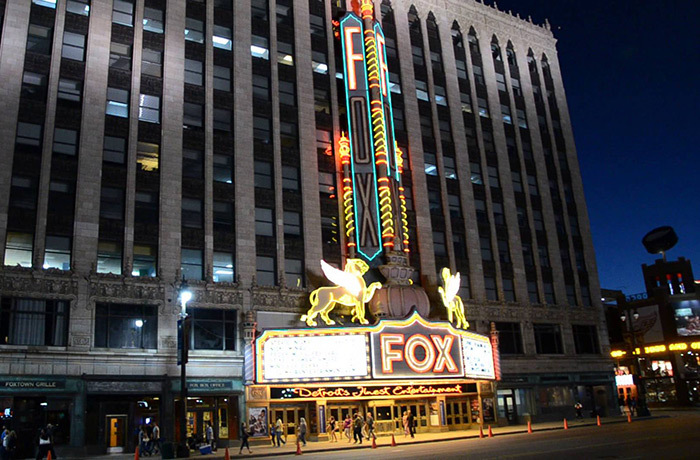 Current owners, Michael and Marian Ilitch lovingly restored the theatre in 1987 and it continues to shine and play host to the world’s most popular entertainers, Broadway productions and family programming. Designated as a National Historic Landmark in 1989, it is only one of three surviving movie palaces, including St. Louis and Atlanta.